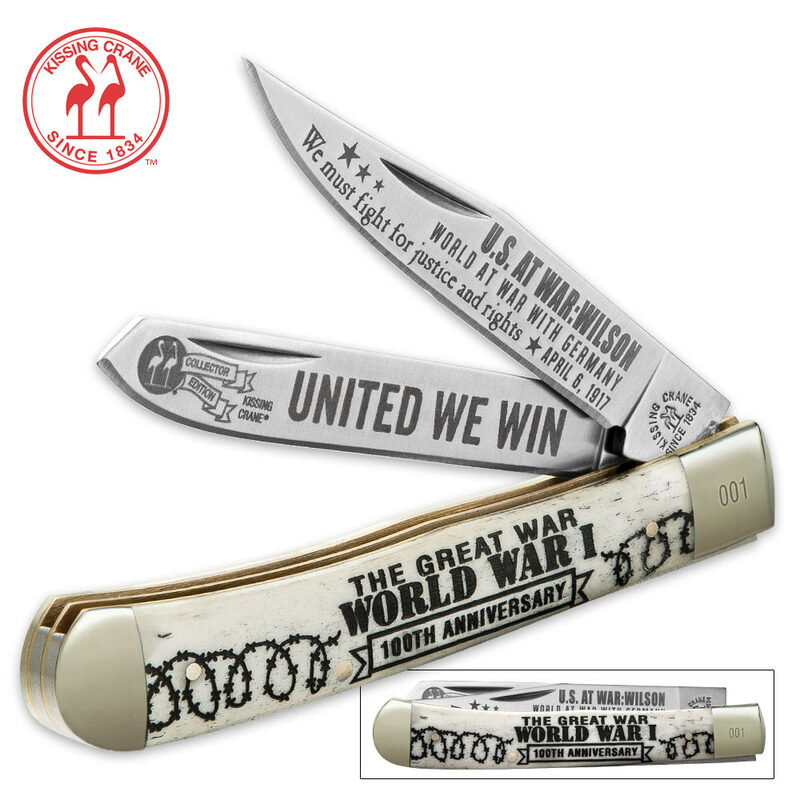 Kissing Crane WWI 100TH Anniversary Trapper Pocket Knife | BUDK.com - Knives & Swords At The Lowest Prices! 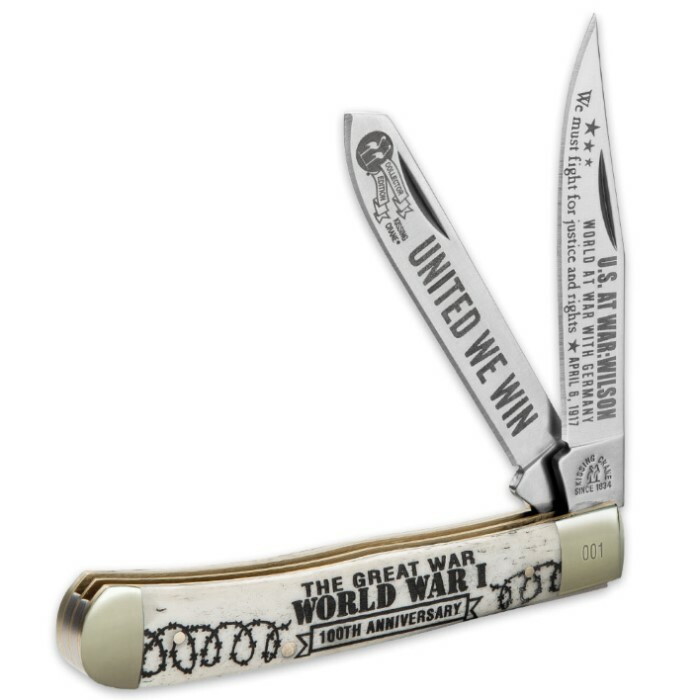 New to our Kissing Crane Collection is the WWI 100th Anniversary Trapper Pocket Knife. 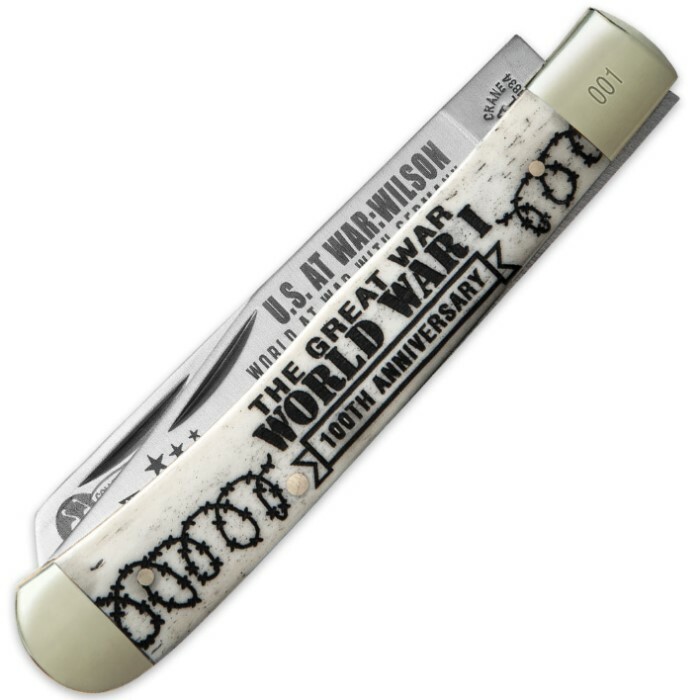 Etched on the 440 razor sharp blades are WWI War themed messages, including President Wilson’s iconic quote, “We must fight for justice and rights.” The Great War theme is carried out on the genuine bone handle in a classic black and white look. The attractive tribute knife also features nickel silver bolsters and brass liner and pins. Add this new trapper to your Kissing Crane collection today. Don’t miss commemorating the historic 100th anniversary of the Great War this year!